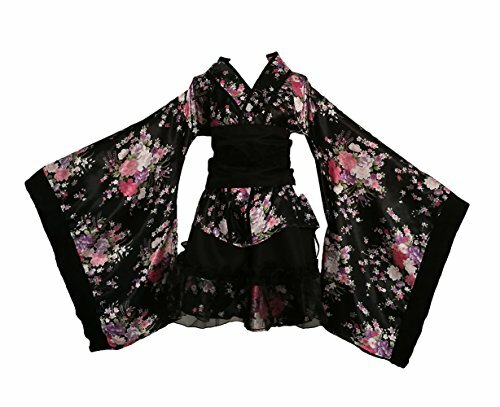 Size information: S: Bust: 33.46-35.43in; Waist: 25.59in M: Bust: 33.46-35.43in; Waist: 27.56in L: Bust: 33.46-35.43in; Waist: 29.53in XL: Bust: 33.46-37.4in; Waist: 31.5in XXL: Bust: 37.4-41.34in; Waist: 35.43in XXXL: Bust: 41.34-47.24in; Waist: 39.37in Kis Size: Kids Small: Bust: 27.56-31.5in; Waist: 19.69-21.65in; Top Length: 19.69in; Skirt Length: 12.99in Kids Medium: Bust: 27.56-31.5in; Waist: 21.65-23.62in; Top Length: 19.69in; Skirt Length: 12.99in Kids Large: Bust: 27.56-31.5in; Waist: 23.62-25.59in; Top Length: 19.69in; Skirt Length: 12.99in\ VSVO Apparel Company, Inc. is a China's designer, manufacturer and retailer of Zentai, Latex, Costumes and Accessories etc. VSVO Apparel offers an extensive line of products for infants, children, teens, adults. We use post service (USPS, etc), DHL,Fedex,UPS air express to ship your package. You can easily get estimated delivery date when you place the order. It will take about 7-15 business days to USA, if you choose standard shipping option. It will take 3 business days to USA, if you choose expedited shipping service. Please feel free to contact us for any problems. We will reply you within 24 hours by email. Please attention that the gloves and socks are not included. 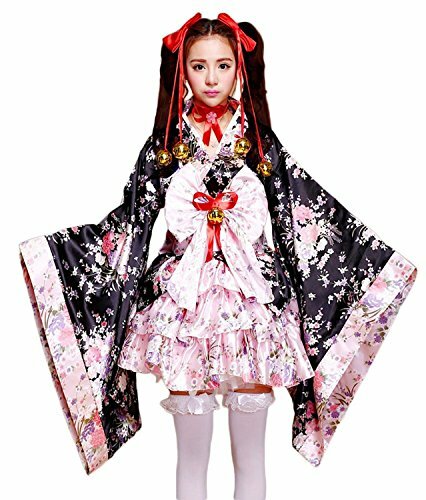 Usually we free ship goods to United States and Canada via Epacked. We free ship goods to Europe and Australia via Post mail. If you need the goods urgently,please contact us and choose Expedited shipping. Free size (One size fits most). Length 125cm(49.21"), Bust 120cm(47.24"), Waist 90cm(35.43"), Shoulder Breadth 57cm(22.44"), Sleeve Length 33cm(12.99"). 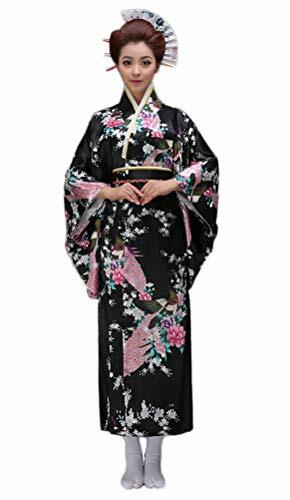 The kimono of style restoring ancient ways. It is light weight and airy and satin soft to the touch. Comfortable to wear. Luxurious silky feel and look, yet affordable. Due to manual measurement, there might be a little differences in size. Besides, compared to real products, there might be some tiny differences in color as pictures displayed because of lighting, shooting angle, different displays, etc. Please understand. Thank you! 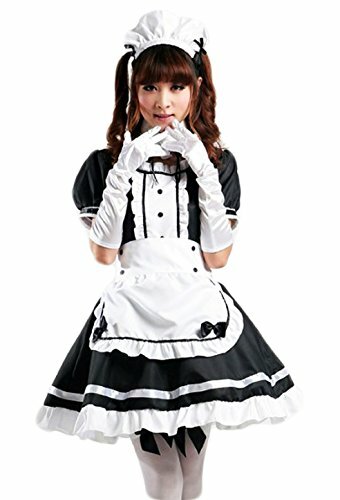 2 PIECE MATCHING SET: This costume is absolutely adorable. 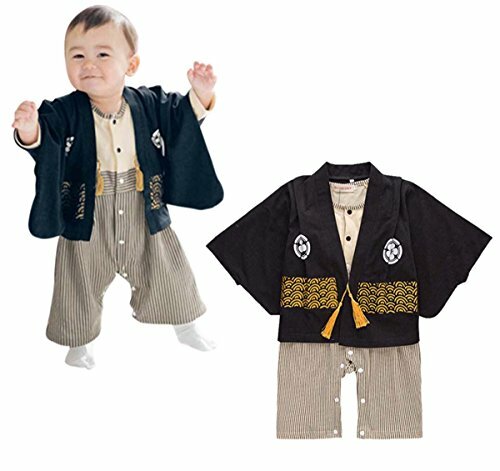 High-quality Japanese Kimono Samurai for toddler boys and girls.Great for all-season and come in multiple sizes. 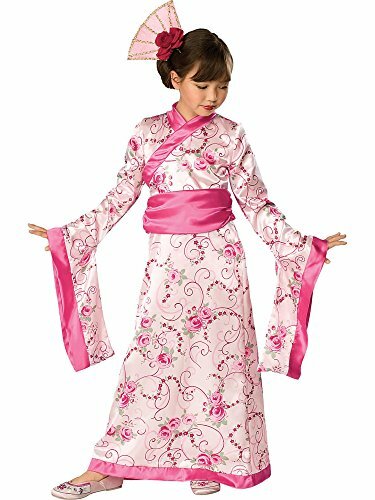 Can wear for cultural days, school play, costume parties or conventions. 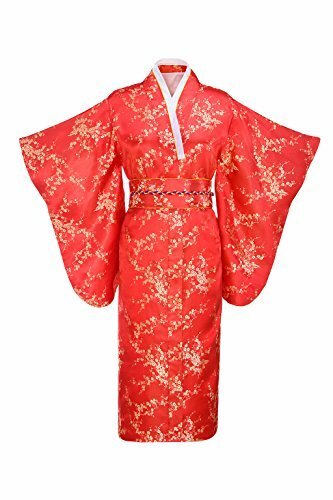 In summer wear them on events such as fireworks, dance festivals, or even casual events.